mixedbag August 1, 2015 July 31, 2016 8 Comments on Happy Birthday to the Boy who Lived! It’s July 31! All Harry Potter fans, like yours truly, know what that means. It’s Harry’s birthday! 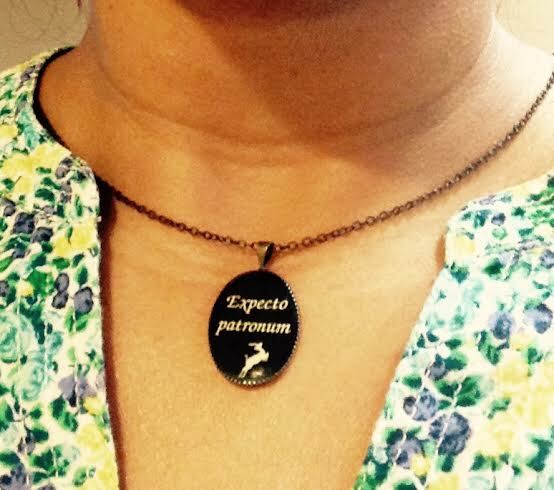 Also, JK Rowling’s birthday 🙂 So Happy Happy Birthday to one of my favorite authors and one of my favorite fictional characters!I celebrated by wearing my ‘Expecto Patronum’ accessory in the most nerd-like fashion. In case you’re interested, this necklace is a gift from my super cool sister! I think she bought it from an Etsy store. People who know me know that I am a total Harry Potter fan. Of the series, I mean, not so much Harry himself. Well, Harry’s awesome but I think Hermione is a total rockstar! Also, Neville Longbottom, Harry would be ‘The Boy who died’ without him, Haha! My favorite books in the series are ‘Prisoner of Azkaban’ and ‘The Half Blood Prince’. Favorite potions – Polyjuice (obviously) and ‘Essence of Dittany’. Favorite characters (in no particular order) – Hermione, Remus Lupin, Tonks, Bellatrix Lestrange, Sirius Black, Fred and George and Dobby! 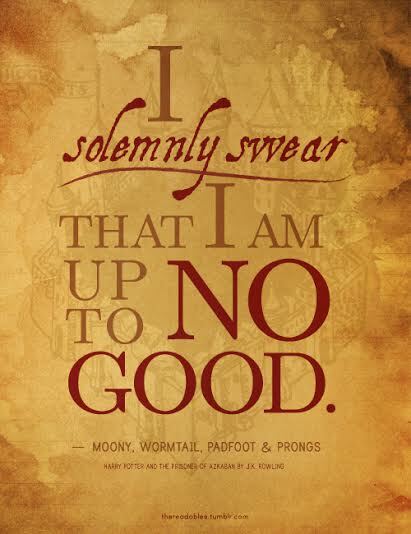 I love love love the Marauder’s Map. I wish I had one like that for my toddler! M is almost always up to no good 🙂 And I’m the one who ‘manages her mischief’! What are your favorite things in the HP series? Comment away! 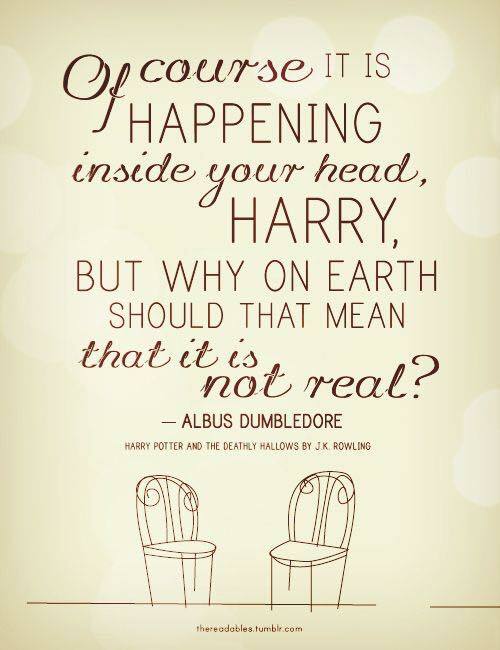 I am not much of a HP followers and haven't read any book from JK Rowling (yet). Yes, me too, a fan of the series in it’s entirety, not just Harry. I can’t even control my excitement as I start to read the 8th book today. Though I wish it was a real book, you know, not just a play-script, but at this point, I will take what I get. So far, I am blinded by excitement, waiting for it to settle down. Will have a review up in the next few days. The only important memorabilia we fans need to possess are the books, which I’m sure you have 🙂 What house are you in?